I'm pulling together a art nouveau disney cosplay group based on [URL="http://hannah-alexander.deviantart.com/gallery/52127968/Art-Nouveau-Costume-Designs"]Hannah-Alexander's Art Nouveau Costume Illustrations[/URL]. 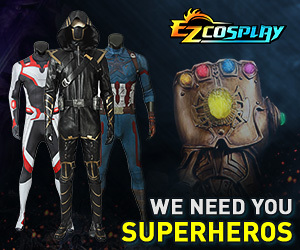 We are looking for anyone who would be able to come to [URL="http://www.fanfocusevents.com/"]Fan Focus 2016 [/URL] in New Castle, Delaware, April 8th-10th, and able to make their own costume. OMG those look AMAAAAZING! If I could GET there I'd be SO down with making a whole bunch of those!